Fun With The Dunns: Treats!!! We've been busy making fun treats for our home as well as treats to share with others! Pinterest has been my best friend! These are small goodies Jax & I put together for his Sunday School friends. It included: some Crayola Monster crayons, muddy buddy Chex Mix, a rice crispy treat, a Tootsie Pop, & one of the rocks Jax & John painted to look like a monster. 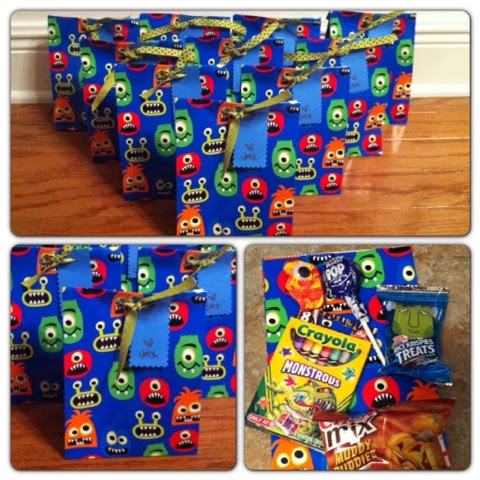 All the bag stuff was inspired by the cute monster bags I found at Target, as well as Jax's favorite treats. 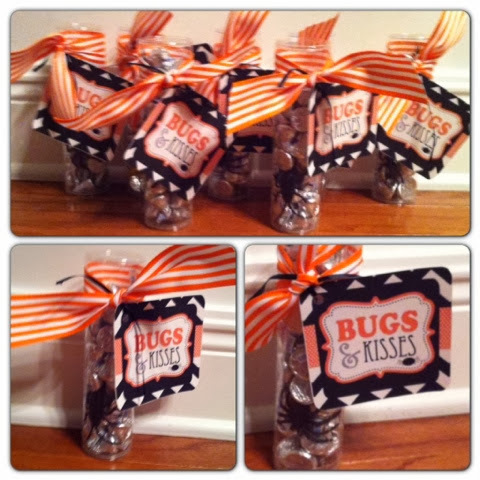 We made Bugs N Kisses for Jax & John's Sunday School teachers. Who doesn't love a Hershey Kiss?! This was a Pinterest idea. 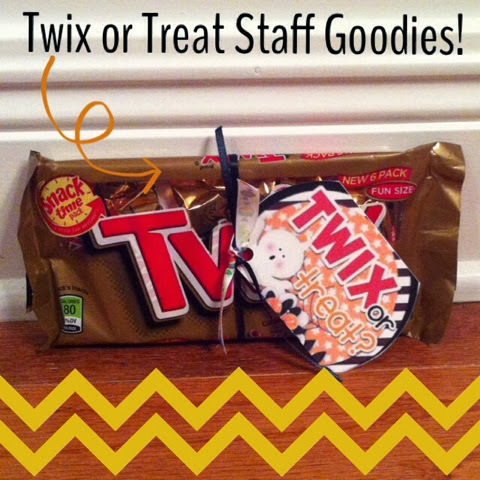 The Twix or Treat goodies are a Pinterest idea as well. We gave these to the PHBC staff. We're so thankful for them!! This was a gift for my neighbors who helped me so much when Mammaw fell when she was at my house. 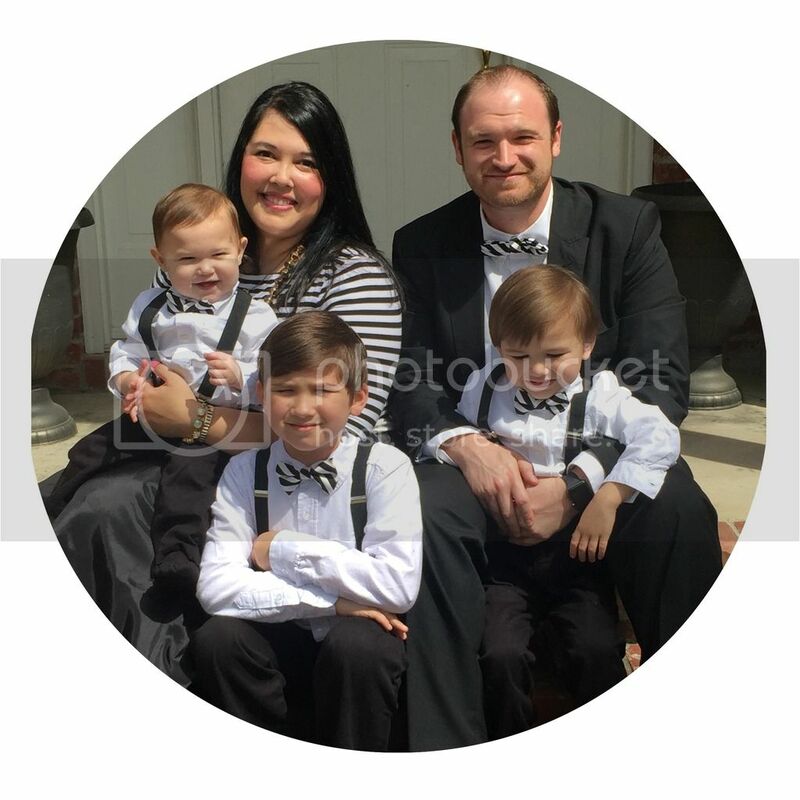 The Lord placed them there, outside at that moment, to help me. I am so thankful! 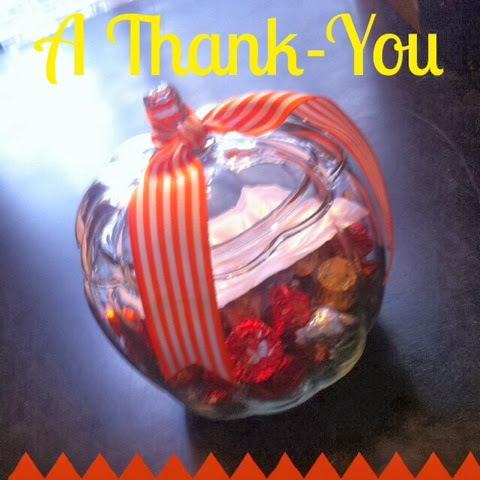 This was a glass pumpkin from Walmart filled with Caramel Apple Pops & Reeses Peanut Butter Cup minis. This was my own concoction inspired by some of my favorite Fall things. This canvas was inspired by Pinterest, but I put my own twist on it. 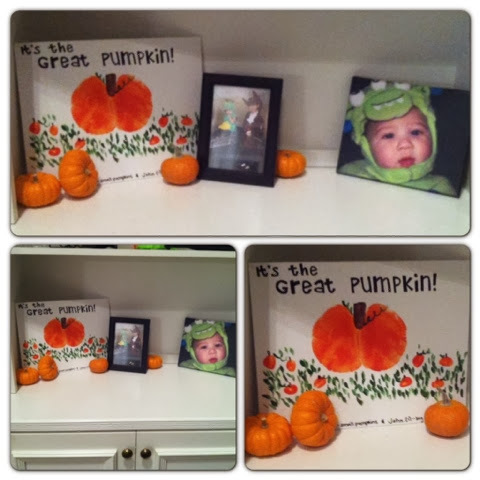 The big pumpkin is a booty print of John's & the small pumpkins are Jax's thumb prints. This project was especially fun (& funny) to make! Finally, another fun Pinterest idea. 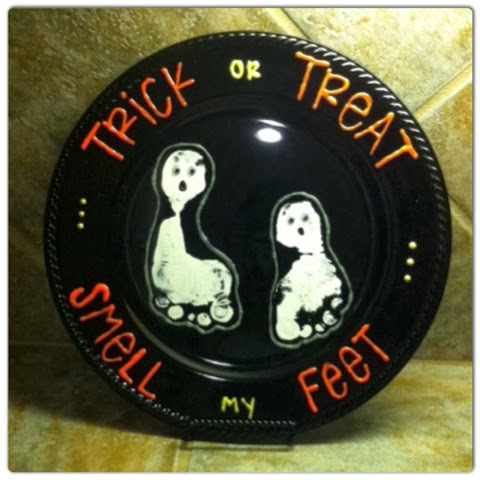 I'm so excited to have the boys' footprints on this platter that we can pull out again & again over the years. If you want more info on these projects, just email me (jennilenni@aol.com) or follow me on Pinterest. These should all be on either my Halloween or Fall Board. I will also be posting them to my Completed Pins Board. Fall kicks off the holiday season & we LOVE getting to make lots of fun things!